When we heard about the most anticipated sequel of 2016, we knew we had to approach it in a big way. We needed to have a walk-off - Zoolander style. We surprised unsuspecting San Diegans leaving the bathroom, coming up the escalator, walking out of stores, and just going about their business with a pop-up runway, photographers, and a hoard of fans. They had to strut their stuff down the runway to make it through the crowd, and get where they were going. No one knows art and fashion like Derek Zoolander. Grandesign hit the streets during the famed Art Basel in Miami Beach, and took Derek’s signature look, “Blue Steel”, to a new level. 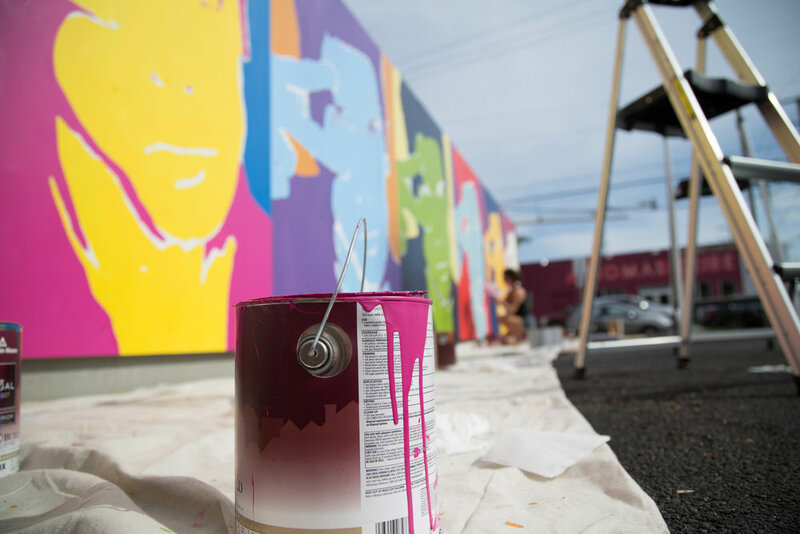 Utilizing a 40-foot-long shipping container to support the installation, we commissioned a local artist to transform six blank canvases into a “Blue Steel” masterpieces. The container was dropped smack in the middle of the ever-artistic Wynwood neighborhood, and thousands of fans stopped by our party to debut the artwork, and to make their best “Blue Steel” impression with the painting. These canvases are now on display at the esteemed Ben Stiller’s house gallery.